Several of our Japanese sources have reported that the Japanese Middleweight Daisuke Nakagawa (22-4-2, 17) has announced his retirement from professional boxing following his decision loss on February 28th. 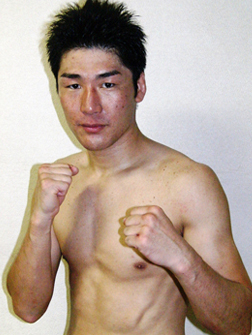 Nakagawa lost a Japanese/OPBF Middleweight title unification bout to Akio Shibata (22-8-1, 9) and is said to have retired immediately after the bout. Aged 36 Nakagawa's retirement did look likely to be sooner rather than later and it's probably fair to suggest that the loss to Shibata acted like a catalyst for the decision. Had he won we don't imagine he'd have retired though with his reactions slowing it did seem that he was, at least starting, to look like an old fighter. He was "shot" by any means but he wasn't snappy and he didn't have the energy needed to capitalise on the few openings he was offered. We would like to wish Daisuke a happy retirement if the story is true and wish him all the best in the future. He was always fun to watch with his venomous power and he had an incredible career winning Japanese titles at Welterweight, Light Middleweight and Middleweight whilst scoring notable victories over Koji Numata, Akinori Watanabe and Tomohiro Ebisu. 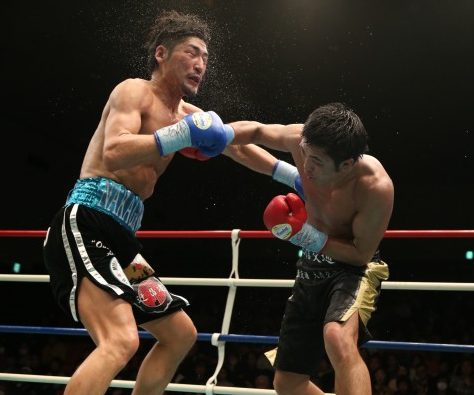 Akio Shibata bounces back from Ryota Murata fight, unifies Japanese and OPBF Middleweight titles! Earlier today Japan's Akio Shibata﻿ (22-8-1, 9) showed that his career still has plenty of legs left in it as he unified the Japanese and OPBF Middleweight titles. Despite losing to the debuting Ryota Murata, last August, in his previous bout Shibata showed a re-affirmed focus to his boxing earlier today as he over-came the big punching Daisuke Nakagawa (22-4-2, 17) in a very hard fought decision and claimed a second victory over Nakagawa in less than 2 years. Shibata, who entered the fight as the OPBF champion, was widely seen as the under-dog especially when you consider how easily Murata had dealt with him. Instead however Shibata bounced back from his high profile loss and used his speed and movement to confound Nakagawa who was often left hitting air. Unfortunately for Nakagawa, the Japanese champion going in to this bout, he was unable to really make the most of his superior power. Every time he would have any success Shibata would connect with a quick jab and an accurate straight before getting out of range. The jab and movement of Shibata all but neutralised the explosive power of Nakagawa who found himself unable to get off early in the bout and was always chasing the from round 3 onwards. Round 9 was the best that Nakagawa had and the last one that he had any great success in. It was then followed by Shibata taking the final few rounds to secure the victory and secure his standing as the Asian Middleweight champion. Unfortunately for Shibata this victory is unlikely to leave many thinking he's the best Middleweight in Japan. That honour is clearly belonging to Murata who, now with some professional experience under, is likely to look towards the world scene than either the Japanese or OPBF titles even though both titles are clearly there for him to grab if he so wishes.